Adiós FTP! You Won't Be Missed. Your partners receive them as download links on email notifications or can download from the app. Add links of documents stored in Google Docs, Dropbox, Box, Hightail... and give them to work context they deserve. How about we stop treating files like they are all the same? Having to go through messages and emails to figure out which files you're supposed to work from and which ones are for reference only is just a waste of time and is error-prone. Organized view of all task-related files for easy future recovery by all stakeholders. Easily associate files to tasks according to your role in them. Reduce confusion and streamline file's purposes. Secure access to files by default. Internal project managers and external resources only have access to files related to tasks they are working on. The file versioning system within any bCommunities task, allows for files to exist in several versions at the same time as an automated form of revision control. Identify who uploaded a file and when. 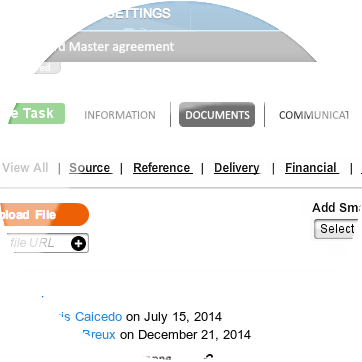 Choose to have the Deliverable files of one task be automatically shown as Source files in a dependable task. When feature is enabled, once Predecessor task is delivered, the Resource/s assigned the Successor task will be notified they can start working on it. 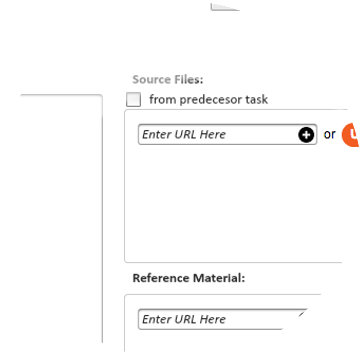 Resources will see files that were delivered in the previous task as source files in their own task.